Leaky gut, also known as intestinal permeability, is a condition where the mucosal lining of the gut is damaged. This allows undigested food particles and other toxins to pass through into the blood. This can send the immune system into overdrive and if left untreated can cause significant harm to the immune system and ultimately disease. For more information on ‘leaky gut’ read here. In functional medicine, we aim to treat the person as a whole. This is not just treating the symptoms (e.g. allergies, eczema, autoimmunity) by medication such as antihistamines or steroids. Instead it looks at why these symptoms or conditions are presenting. Root cause solution allows us to work with the individual going as far back as birth in order to address the underlying cause, rather than just put a temporary band aid on the symptoms. With around 70-80% of the immune system located in the gut, it makes sense to start by addressing any possible imbalances in the gut. After all gut health is the cornerstone of good health. It usually takes on average around 3-6 months depending on the severity and complexity of the case. Treatment involves a very systematic approach to ensure that all aspects are covered. In my clinic I prefer to run a functional lab test that investigates the overall functioning of the gut and identifies the presence of parasitic/yeast/fungal infection. I also like to look at zonulin levels, a marker for leaky gut. Once I receive the results, we can then start to work through what’s known as a 5R protocol. This addresses imbalances or infection(s) whilst also restoring the mucosal lining of the gut. The5R protocol is an amazing tool used by nutritional therapists and functional medicine practitioners. The first step is to begin the process of dietary education and change. This generally involves cleaning up the diet and looking at the possibility of removing foods that are known to trigger inflammation in the gut. These inflammatory foods are gluten, dairy, soy, corn, eggs, shellfish, preservatives and other toxic foods such as sugar and alcohol. I usually deal with this on a case-by-case basis, and it very much depends on the severity of symptoms and how they present. In some cases, we might only remove foods during the first stage of treatment. In other cases it may well be necessary to eliminate gut infections caused by candida, fungus, Small Intestinal Bacterial Overgrowth (SIBO) or parasites. This is one of many reasons that I prefer to run a functional lab test prior to starting the 5R protocol. If you want to find out more about testing, contact me here. The focus of this step is to normalise digestion and absorption. This is achieved by predominantly addressing stomach acid, digestive enzymes and improving bile flow. You want your gut to work as efficiently as possible in order to benefit from the wholesome food that you are providing it with daily. For most our food bill is the second highest monthly expense, so you really want to make sure that you are digesting and absorbing these nutrients. Adding digestive enzymes can really help to support optimal digestion, as well as support the body’s internal repair and inflammation. Very often insufficient stomach acid or enzymes, such as pancreatic elastase, is at the root of developing SIBO or parasitic infections. The second step is therefore a REALLY important part of the 5R gut healing protocol. 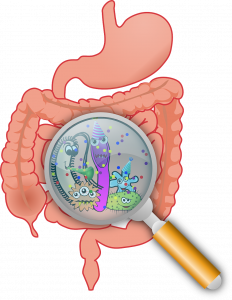 The focus of the third step is to normalise the balance of gastrointestinal bacteria. This is achieved by ensuring there are sufficient fibre and fermented foods in the diet. Fibre is incredibly important, especially when considering its role in supporting the balance of good bacteria in the gut (microbiome). Fibre, especially non-digestible fibre get fermented in the colon to form short chain fatty acids (SCFA). SCFA help to maintain the gut mucosal barrier and prevent leaky gut. Think of your microbiome as a garden made up of trillions of beautiful flowers. In order for these flowers to grow they all require food (sunshine and water) and this is where prebiotics come in. 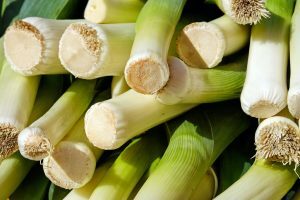 Prebiotics are the food that feed the good bacteria (probiotics) and are often more important than the actual probiotics. Prebiotic foods include: leeks, onions, garlic, artichokes, asparagus, banana, dandelion, chicory and more. It is worth mentioning that some of these foods can be really problematic for people with SIBO or IBS and can very often worsen symptoms. This is one of the reason why it is worth the time and investment to work with a nutritional therapist or functional medicine practitioner to guide you through the 5 R protocol. Fermented foods (probiotics) can be problematic for people with histamine intolerance and can make them more symptomatic. This highlights the fact that there is no one-size fits all approach when it comes to health and wellbeing. Whilst the 5R protocol is one of the most effective tools that I use in clinic, it still requires individualisation. The emphasis always remains on addressing the root cause. 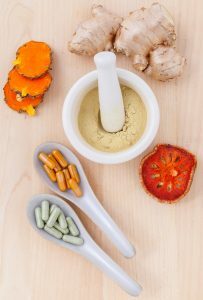 ‘Reinnoculation’ is typically where probiotic supplements are used, but again this is very individual and not all strains of beneficial bacteria are equal. This step is focussed on providing support for the lining of the gut in order for it to repair itself. Repairing your gut is a VITAL step in restoring your health. Reversing leaky gut can help reverse your symptoms and reduce your risk for disease. Many people come to see me after having attempted this stage by using bone broth, l-glutamine and/or collagen, but found that it was ineffective. The reason is that they skipped the first two key stages of the protocol, which makes this ‘repair’ phase futile. It is vital to work through each of the stages with the guidance of a practitioner. This ensures that your work is done and that the benefits are long lasting and not just temporary! This step is definitely the turning point in gut healing. This is where most people start to feel better, I know I personally did. This last step is focussed on lifestyle choices, such as sleep, stress and exercise and how they impact the gut. Sleep is the time when the body can recharge and heal at the end of the day. It has been interesting to see that the large majority of my clients really struggle with achieving a good night’s sleep. Fortunately, this is something that we usually improve fairly easily. I am yet to meet a client who doesn’t generally feel overwhelmed and stressed with the pace of modern living. No wonder their stomachs are literally tied in knots. Stress has a direct impact on the gut, and it is therefore paramount to find tools to mitigate the damage. Each of us are unique and what alleviates stress for one person doesn’t necessarily help another. Whilst this is the final step in gut healing it is worth noting that in those clients where stress is at the root of their illness, the 5-R protocol is definitely NOT the first place to start. Instead it is more important here to address the autonomic nervous system through Mitochondrial Therapy. Movement and exercise is key in maintaining good health, but within moderation. Strenuous exercise can sometimes have the opposite effect and actually trigger leaky gut. This final step is aimed to bring the body back into balance in order for it to thrive in the presence of adversity. Having embarked on this journey myself I know just how overwhelming it can seem at the outset. Fortunately, I have healed my own gut and cleared SIBO and continue to help clients do the same on a daily basis. There is no doubt that suffering with IBS, eczema, psoriasis, allergies, hormonal imbalances, frequent colds, autoimmunity can really get you down. Committing to a few months of gut healing work might make all the difference to your health and ultimately your quality of life. 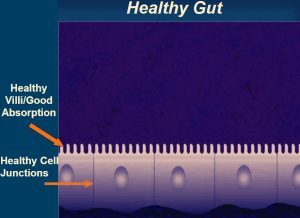 If you want to heal your gut or find out how you can access functional lab tests contact me here.